We vegans, we eat a lot of hummus and so I'm always experimenting with different types of beans and seasonings to come up with new flavors. Some combinations work really well and others don't. These flavors that I made the other day are good, but not great and so back to the kitchen for some additional tweaking to the recipes. The main ingredient in hummus, other than the beans is tahini sauce or paste, and believe it or not the type of tahini you use can make a big difference in flavor and texture. I have tried all types of tahini from Middle Eastern markets, but for making hummus, I prefer Trader Joe's Tahini Sauce. It has a really creamy texture and is full of citrus flavor. However, if I'm adding tahini sauce to a dessert, or for a salad dressing then I prefer Middle Eastern brands, such as Mid East. Fava beans have a high starch content and so when they are pureed they turn into a paste and become gummy. The texture would be fine for spreading on bruschetta and topping with other ingredients, but used as a dip for vegetables I don't like the texture. Fava's also have a bitter taste and so the next time I make this recipe, I will reduce the fava beans by half and incorporate a broccoli puree. I would also add some fresh Meyer lemon juice if it's in season. For this hummus, I used garbanzo beans and Aleppo pepper. Aleppo pepper is named after a city in Syria where the peppers are from. It is very fruity, and earthy with citrus undertones, and is coarse in texture. Also the heat is very mild and so next time I will substitute some cayenne pepper and paprika for the Aleppo and also grind it into a finer powder. The texture was a bit grainy for me. Trader Joe's has the best white bean hummus around but it's so much cheaper and healthier to make your own. I really love zatar seasoning (which is a mixture of toasted sesame seeds, dried thyme, oregano and sumac), with cannellini beans, but the roasted lemons were a bit over powering. So next time I will either add less lemons, or leave them out all together. I may also consider using preserved lemons, but that takes some planning because the process of preserving takes about month. I normally don't spend a lot of time in the kitchen perfecting recipes. Most of the time I make something once and I really like it and never have to change the recipe. And other times, if it doesn't work out, I may never make it again. 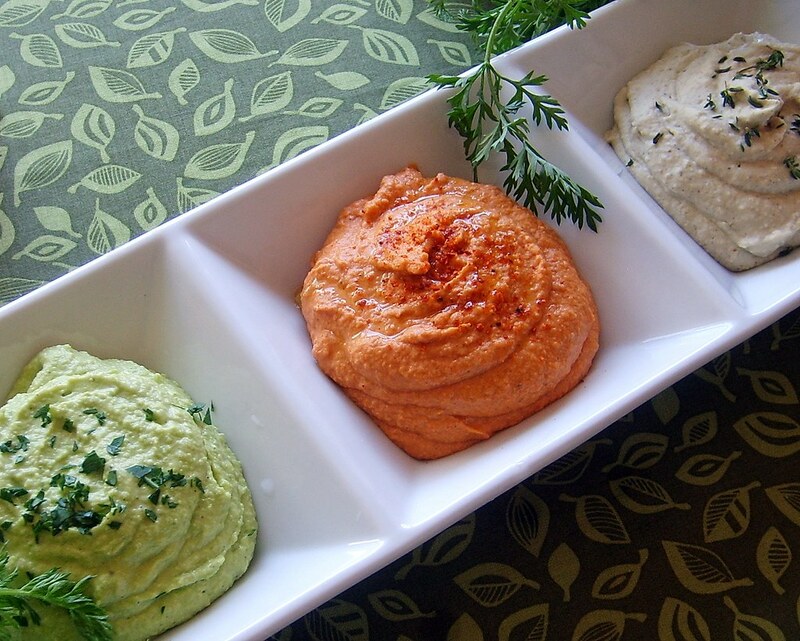 But with hummus, it's so easy, inexpensive and fun to play with different flavor profiles, that I will definitely be making these recipes again.